In our contemporary evolutionary and scientific worldview, the universe is revealed as one of continuous creative transformation. What is true of the universe is also true of human life, says eminent theologian Karl Peters, as he explores the many forms of spiritual transformations - from predictable passages experienced with age, to the unexpected passages we are suddenly required to make, to religious conversion, to calamity and even death. All of our personal transformations, Peters claims, have a spiritual dimension and take place within a cosmic context. 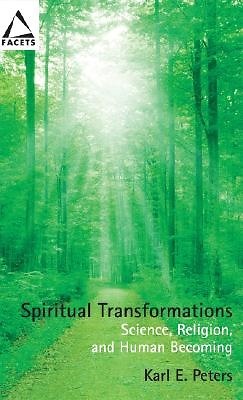 Spiritual Transformations closely tracks the variety of personal transformative experiences we have. Through story and analysis, it also draws out how these experiences bring us into our sacred center (God within), bring about wholeness, release us from self-preoccupation, and relate us in new ways to others, the earth, and the cosmos itself.